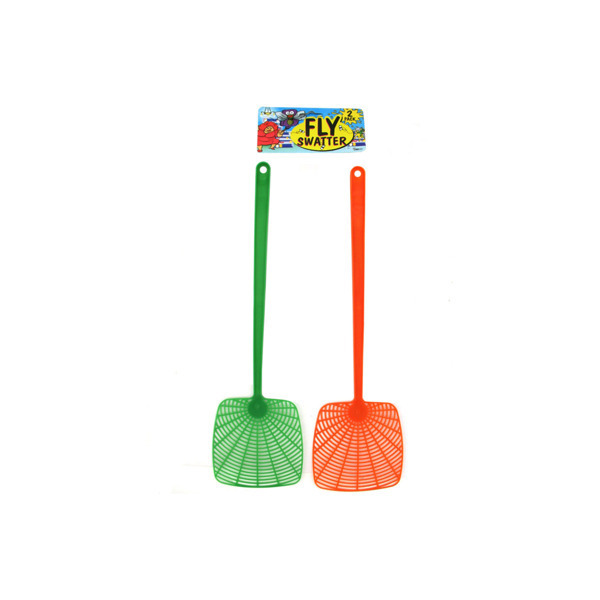 A set of 2 plastic fly swatters. Colors are green and orange. Total length is 17". Swatter surface is 5" x 4 13/16" at its widest. The set comes in a poly bag with header card and UPC code.